Indica plants come from the Asian highlands, where the environment is harsh. The plant’s need to survive in climates with harsh winters and sudden weather changes have contributed to the indica plant’s unique growing characteristics and growing structure. Novice growers won’t have a tough time growing indicas because grow rooms can be easily manipulated to replicate the weather of the Asian steppes. Indicas grow sturdy, short, and robust even in fluctuating environmental conditions that are typical in outdoor grows. Because they have a squat shape, they’re ideal for growing in grow boxes, the indoors, and small spaces. They flower quickly as a result of their effort to quickly reproduce before the winter comes. This makes the indica plant ideal if you are looking for a quick harvest or only have a short outdoor growing season. Indicas tend to have a heavy and earthy flavor profile; often having spicy, hashy, skunky, or musky smells especially for pure and Indica dominant strains. Choose the right strain; you’ll have better luck using a strong hybrid instead of starting with a pure indica especially if it’s your first time. Hybrids are more forgiving of a novice’s mistake and are also more resilient. They also tend to be more resistant to pests and are less likely to rot compared to full strains. The size of your plant can be controlled by varying the amount of time you let them stay in the vegetative phase. Once you change the lights to a 12/12 schedule, this will stimulate flowering. Note that plants can stretch during flowering although their maximum potential size is already definite. It’s recommended to put 6 large main branches per square foot beneath the lights. For a 16 square foot area, use 1000 WAT HID lights with good reflectors. To get the highest yield for indica, grow small, fast, and full. This means that you should be planting as many as you can in your grow space while limiting the time spent in the vegetative stage. You can accomplish this using the Sea of Green growing method as well as the Screen of Green. Unlike their long-legged sativa siblings, indica plants don’t reach crazy heights. They grow bush and short, and will have much thicker leaves. Because of these qualities, growers shouldn’t train them although you can use the low stress training techniques or super cropping in order to get them to do what you want. Indica strains evolved geographical regions that always had a cool breeze. In the Hindu Kush mountains, temperatures at night drop significantly. On the other hand, sativa plants like tropical temperatures, but indica strains are used to changing weather. To get the best harvest, grow room temperatures should drop to 10-15 degrees Fahrenheit at night especially when the plants are already at the flowering phase. Indica buds should be cured and dried properly after harvesting. 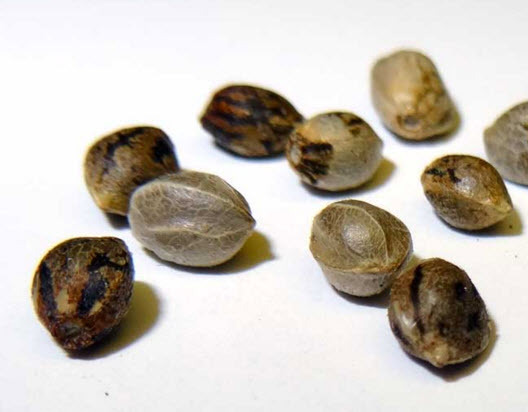 Although indicas are easier to grow than sativas, the addition of the drying aspect changes that. Its dense buds become vulnerable to mold and need to be dried and cured carefully. It’s recommended to put trimming sugar leaves on hold until it’s time to cure. However if you have unusually large and dense buds, it’s best to get rid of some sugar leaves during the drying process which will also help prevent mold. Curing indicas are a joy since they’re much easier than sativas, but they also need to be handled carefully to prevent molding and rotting because they lack air circulation. With some care and attention you can easily grow strong and healthy indica plants. What has helped you grow indica plants? Share with us in the comments below. 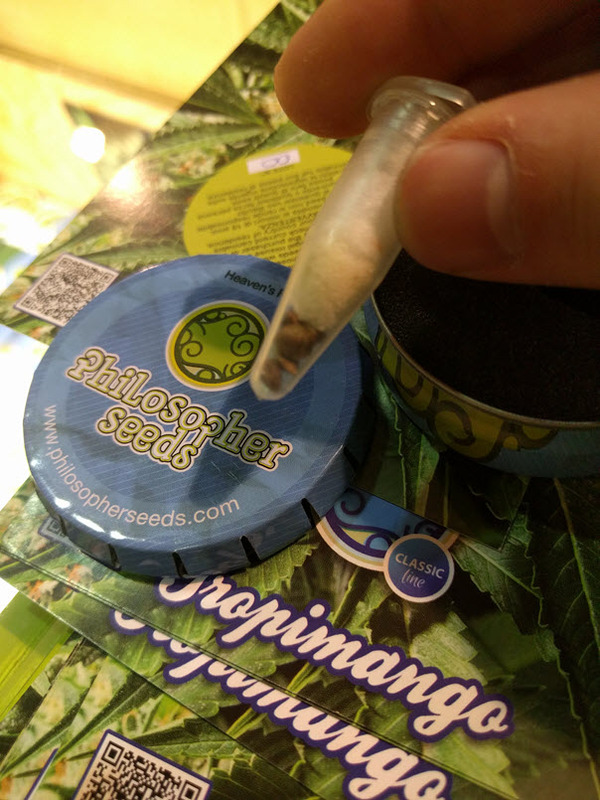 HOW TO GERMINATE YOUR CANNABIS SEEDS, CLICK HERE. TIPS FOR GROWING SATIVAS, CLICK HERE. Cannabis, Growing, Indica, Strains, Tips. Bookmark.